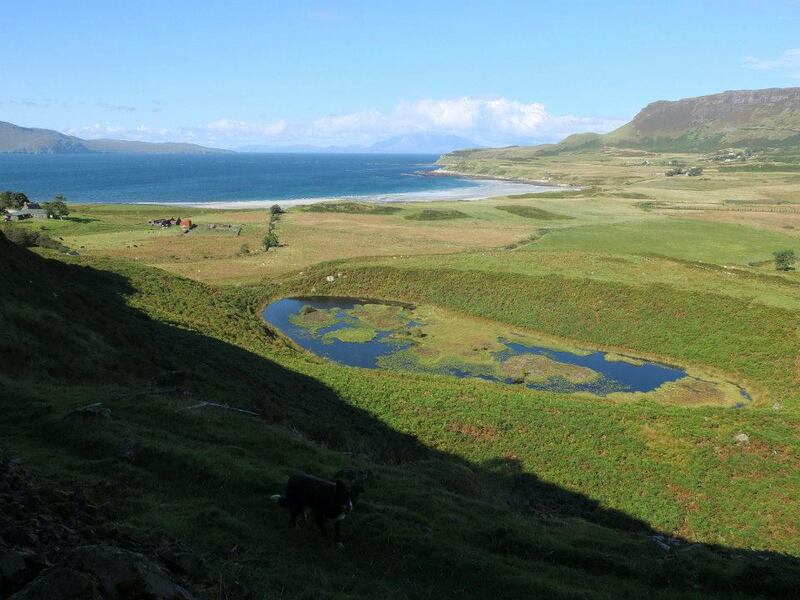 There is so much to see whilst on Eigg! You can explore our beautiful island on foot or by bike. Our friends at Eigg Adventures provide bike hire from their little bike shed at the top of the pier! If you fancy finding out some insider information about Eigg and our wildlife, why not go on one of our Ranger’s wildlife walks. They take place every Wednesday (May – August) from outside the old shop – which is half way across the island. Weather dependant! The Isle of Eigg Shop is situated at the head of the pier. They stock everything you could possibly require for your time on Eigg. You can get in touch with them to pre-order shopping, so it’s ready for your arrival! There are two places to get something to eat whilst on Eigg, each at opposite sides of the island. Galmisdale Bay at the head of the pier, is open during the day as a cafe and open some nights for evening meals during the week, or bar meals at weekends! Check their website for their current opening hours. Over in Cleadale there is Lageorna. Think three course set meals, enjoyed with views out to Rum. Booking is essential for Lageorna – so get in quick! Check their website for their opening nights.